“The elders of convention teach us that there are five fundamental stages of sin, and while I’m a big fan of all five, the ensuing deviation from rectitude can be a real killjoy. So I found it quite fitting that Spectral Press decided to cast us all into a bottomless pit of guilt with their fifth installment. 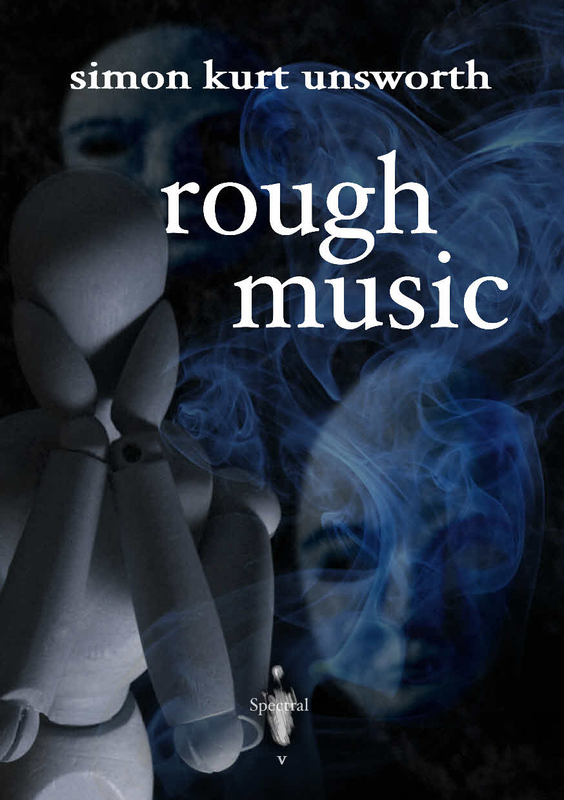 We’ve got a long, hard road ahead of us, but Mr. Unsworth’s “rough music” is there to lull us straight into one man’s personal hell. Cornish, our rather loathsome protagonist, is an imperious sot; a man living heavily under the influence of egotism and ignorance, oblivious to the things that go bump in his life. But his carefully constructed world (and marriage) begins to collapse under the weight of his infidelity. And one night a strange but familiar creature appears at 3a.m. to perform an elaborate dance meant only for him. It seems there can be no rest for the wicked, and with the darkness comes clarity and revelation. Someone or some thing demands to be seen and heard, and it’s brought an entire troupe along with it. With thanks to Brandi and Strange Aeons! More soon! The Strange Aeons webite can be found here.